The revelation that Charles Leclerc's visor would have been hit by Fernando Alonso's front-wing endplate in their Belgian Grand Prix crash without the halo's intervention has provided proof of exactly why the FIA was right to push against critics and implement the cockpit protection system. 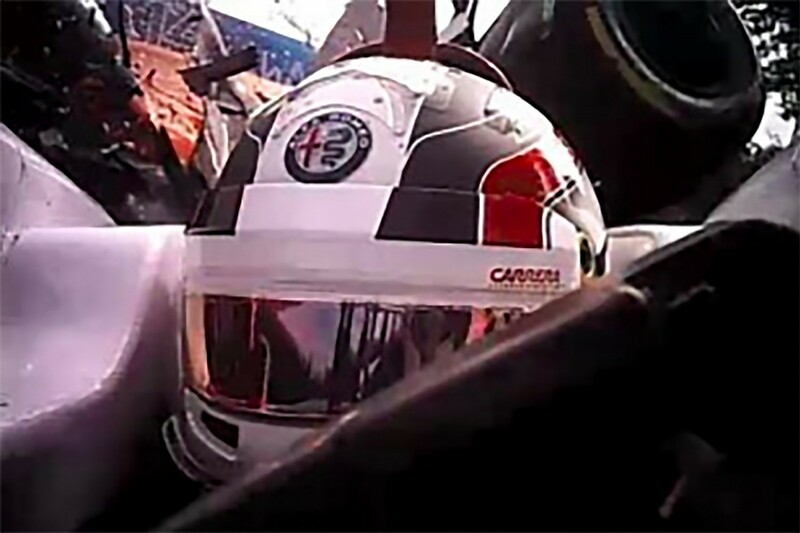 Although the results of the investigation into the Spa crash cannot rule definitively on what injuries Leclerc may have suffered from such a visor strike, the fact we are left speculating over how bad it could have been speaks volumes about the current safety climate. The Leclerc crash lessons have put the halo in the same bracket as other safety advances that are now taken for granted: such as seatbelts and the HANS device - other ideas that met huge resistance at the time of their introduction from drivers but are now second-nature. 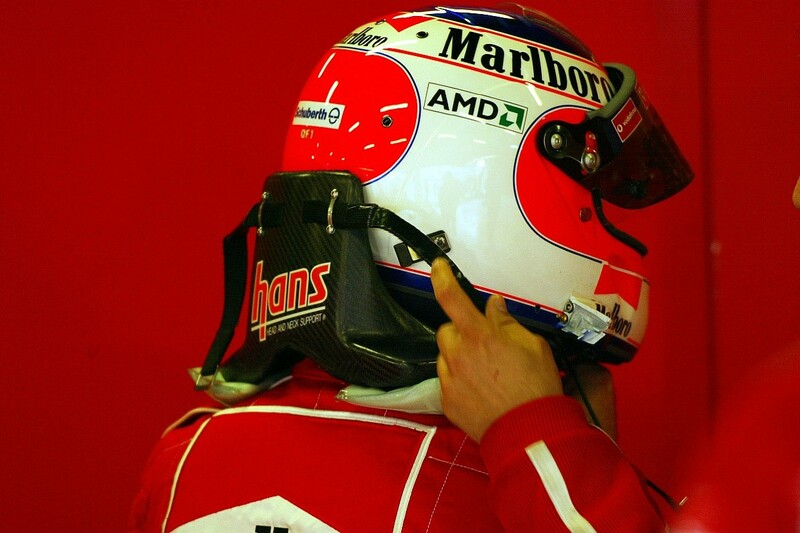 Shortly after the HANS device was introduced, for example, Rubens Barrichello was critical of it being made mandatory because it was uncomfortable and causing him pain. "I am all in favour of continuous work to improve safety for the drivers, but I think it should be a matter of personal choice as to whether or not a driver uses HANS," he said at the start of the 2003 season. "I am concerned that in an impact it will hurt even more. On the bumpy circuits there will be a lot of problems." That personal choice argument was one that also surfaced when it became clear the halo was to be mandatory. But once the racing got under way, the complaints soon stopped. In the case of HANS, the numerous lives it has saved means drivers would probably feel underdressed if they got into their car without it. The halo is not quite at that point yet, but we are not that far away. There is definitely a new mindset of safety for F1's younger generation. 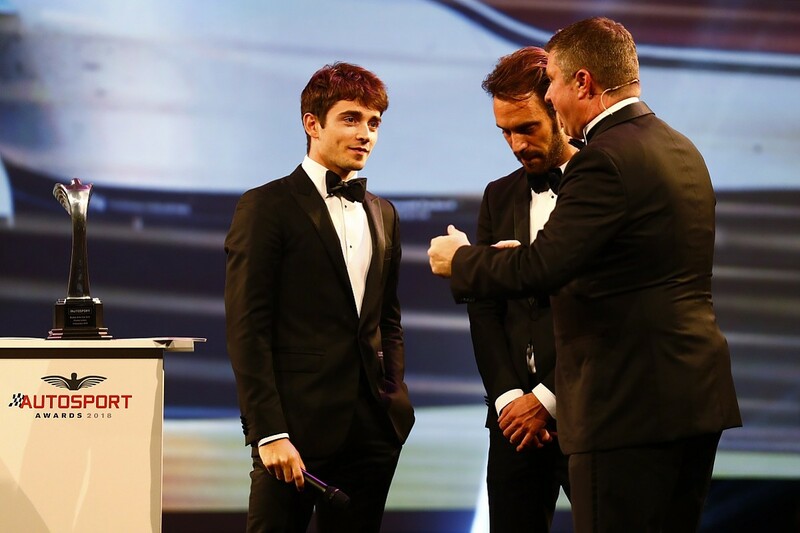 It was fascinating to hear Leclerc remark at the Autosport Awards last weekend that his immediate thoughts amid the spectacular Spa accident was not worrying for his life, but whether his car could continue in the race. "I remember as soon as I saw Fernando go over me I tried to go on track and race, hoping nothing had happened to my car, but obviously it was not the case because it was destroyed," he said. "I stopped, and I saw the images and the images are quite...impressive is not the right word. Shocking. It was quite a big crash. I don't know what would have happened without the halo, but I think it has been extremely useful." 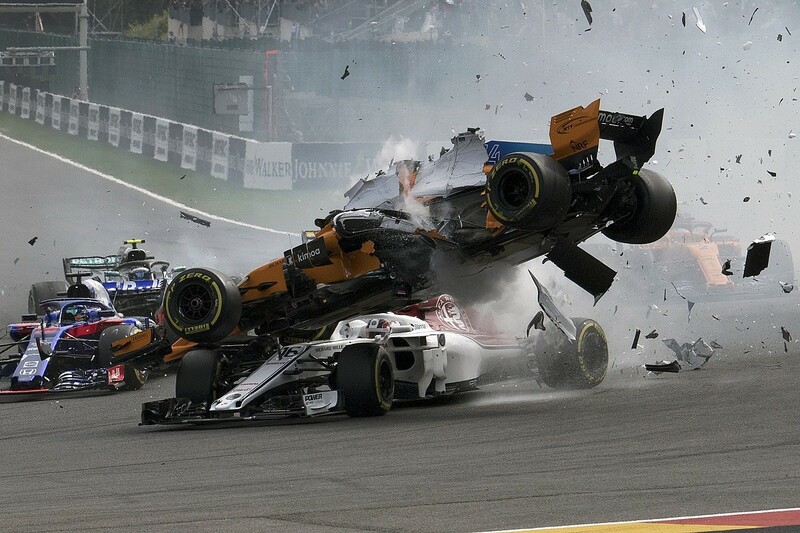 The lessons of the Spa crash, and confirmation that the halo also saved Formula 2 racer Tadasuke Makino from a direct tyre-to-helmet hit in a crash at Barcelona, has closed the halo safety argument - and perhaps quicker than the FIA expected. As FIA safety director Adam Baker said: "Statistically it was surprising to experience two accidents where the halo played an obvious role within the first six months. "From the research conducted into previous single-seater accidents during the development of the halo, the expectation was that we would likely see one to two years before such an incident occurred." But while the halo has won on the safety front, there is still some way to go before the criticisms about its aesthetics will end. Mercedes boss Toto Wolff's comments earlier this year that he wanted to take a chainsaw to it after first seeing it on his 2018 car probably still ring true for a lot of people. Even though fans have quickly adjusted to the look of F1 cars with a halo (just as they got used to wider front wings or even the ugly noses), there are still minor frustrations that it remains difficult to see the drivers' helmets. Realistically though, there is no better option than the halo right now. One thing that has become clear after Spa is that the idea of the 'aeroscreen', which was evaluated as an alternative, is not anywhere near safe enough. The crash analysis of the Leclerc/Alonso incident has shown that while the halo stood up perfectly to the 58 kilonewtons of force from Alonso's right-front wheel; the aeroscreen would not have done so well. Reflecting on the Spa accident, and why F1 was not going down the aeroscreen-esque route that IndyCar is pursuing with its windscreen, F1 race director Charlie Whiting said this week: "We do work closely with our friends in the USA and I expect you've seen what they have been testing. "But what we've seen with the accident in Spa is that the sort of device tested by IndyCar would probably not have been as effective, it would probably only offer about 10% of the protection that halo offers. "So we will be talking with the IndyCar guys about that as I think that there are lessons that we can both learn." For now it is clear that the halo is here to stay in F1 as it is highly unlikely a better-looking solution can match its safety benefits. But that does not mean fans needs to be resigned to thinking F1 cars will remain as ugly as they first appeared this year. For a start, the lessons of the two big crashes this year have given the FIA some proper data and understanding about the halo's strengths, so it can better hone the design and consider new materials for future iterations. 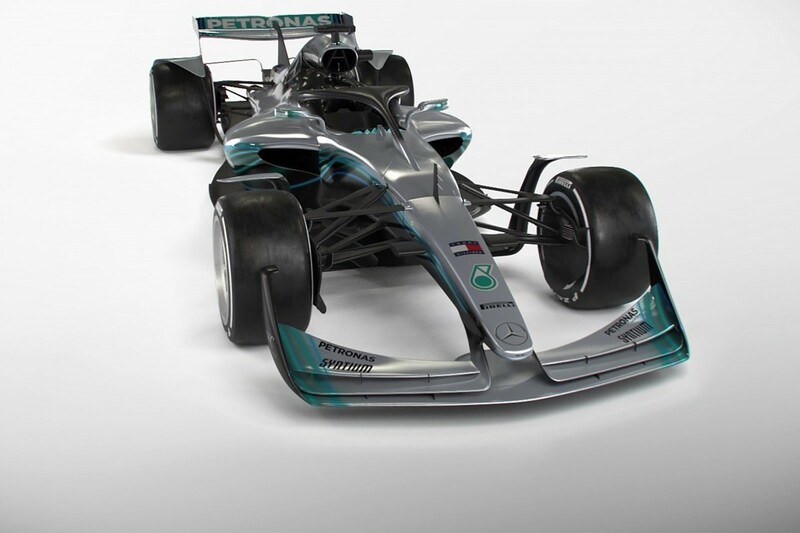 Beyond that, and more importantly, the FIA is working in conjunction with F1 bosses to ensure that from 2021 - when the new generation of grand prix cars arrive - that the halo is fully incorporated into the design. By being a part of the car from the very first concept sketch, rather than a lump of metal that has been fitted on top of it, there is an opportunity for it to look much better - as it does with the Gen2 Formula E car. As Baker says: "The next generation of halo will be part of the F1 regulation update planned for 2021. Importantly, the halo is a key element of the car concept from the beginning, enabling a true structural integration and a shape which blends visually into the profile of the car." By the time we get to 2021, fans will likely have grown accustomed to the halo, and we may have got to the stage where cars without it actually look weird. 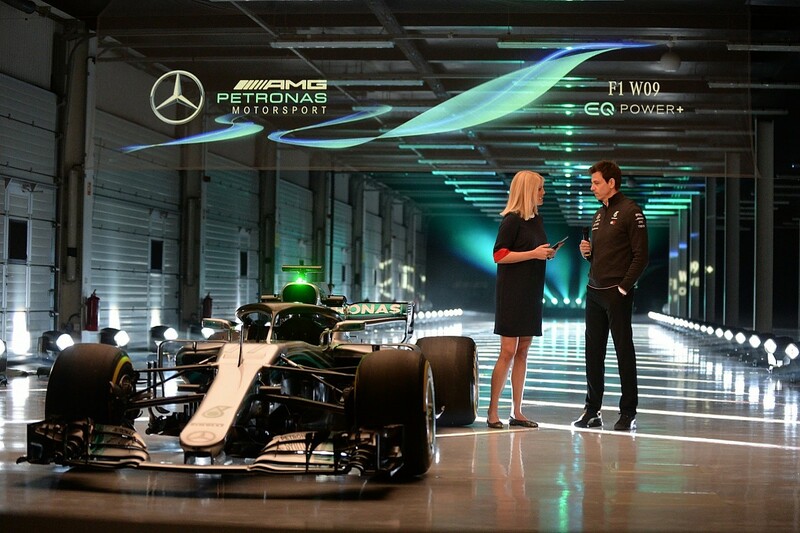 But even if there are still people who desire open cockpits and will likely dislike the 2021 cars, their views will ultimately not matter. FIA president Jean Todt believes the fight he faced to push through with the halo has been worth it. "In my career I've had a lot of resistance," he says. "If you believe that it goes in the right direction you have to fight for it. We have to think back. Think about the terrible loss of Henry Surtees, who lost his life because he got one wheel on his head. "With the halo it would not have happened." He calls the halo struggle "fighting the resistance", but underlines it's worth "if we can save lives". Nobody can argue against that.